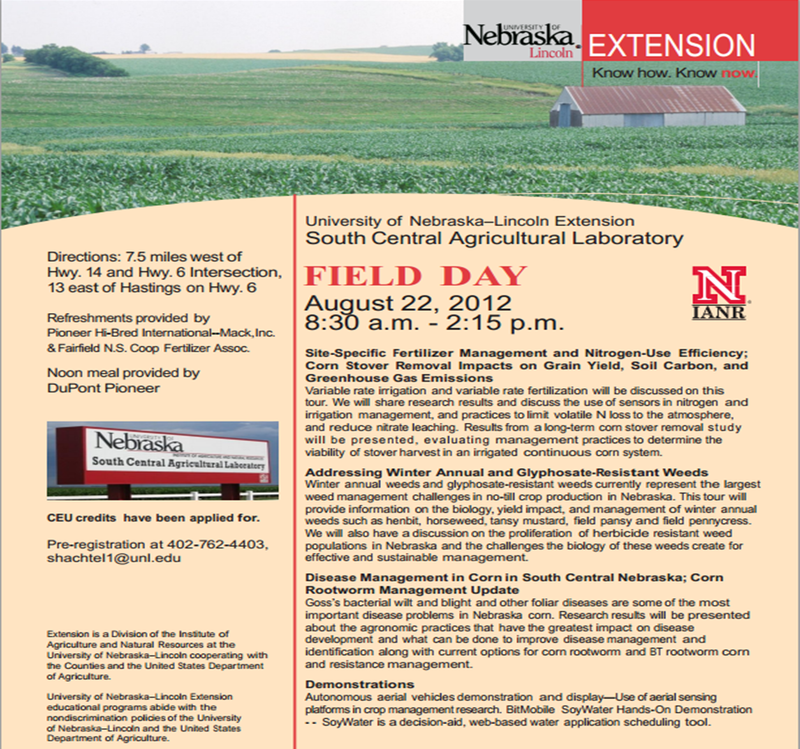 Posted on August 10, 2012, in Crop Updates, Diseases, Event and tagged 2012, Agriculture, corn, corn rootworm, Crops, Diseases, equipment, Extension, farm, farming, Field Day, goss wilt, Irrigation, Nebraska, Plants, Soybeans, variable rate irrigation. Bookmark the permalink. Leave a comment.